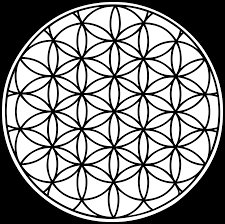 The flower of life is a design that is considered sacred geometry. Said to give off an energy from which all life springs forth. This energy radiates from the Flower of Life at 14 HZ binaural. Many believe that wearing this symbol close to your body will increase your life energy and interrupt negative energy.